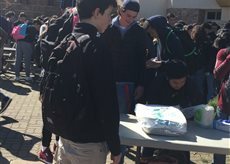 Students fill the quad as the clubs start selling food at the Heritage Fair. Tables are set across the pavement, each of them holding signs with food prices and labels proudly decorated in colorful designs. Students clamor around each booth, waving money in the air as club members take each order. The quad, like most days, is full. On February 23, however, it’s different from the rest. 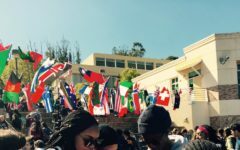 The Heritage Fair is a jam-packed cultural event with a variety of clubs all selling food that represents them, their ethnicity, and the snacks or meals that each of their cultures is well known for. It’s a time to show off diversity and originality to the general student body, some of whom are trying these new dishes for the first time. But for each club in the fair, all its members are familiar with the food and where to find it. “We get our food from L&L. It’s a Hawaiian barbecue restaurant,” said junior and Aloha Club member Noelani Edwards. Black Student Union (BSU) gets their food from Popeye’s, while Chinese Culture Club buys it from Crouching Tiger. The Mexican Club travels around Redwood City bakeries and stores like Mi Pueblo and Mi Rancho to buy their food. Clubs sell their food based on how easy it is to transport, what the student body would like the best, and most of all, what best represents their culture. Clubs use the money for various reasons. “The money we get goes to our club in getting speakers come to our club and speak about African-American culture,” said junior and BSU member Amanda Morrow. Other clubs don’t normally gain a profit. 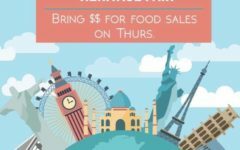 Instead, they sell their food for the sake of sharing their heritage with Carlmont rather than having a financial goal. 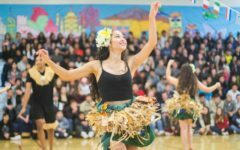 In the end, what matters most is that the Heritage Fair is about sharing culture with each student that pulls out a dollar or just spots a dish when passing by. 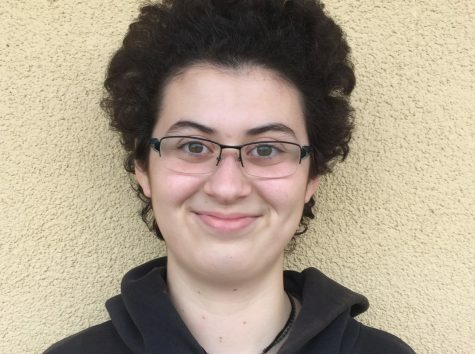 Nastasja Stahl is a sophomore at Carlmont High School. She's an aspiring story-boarder, avid cartoonist, and apprehensive voice actress.